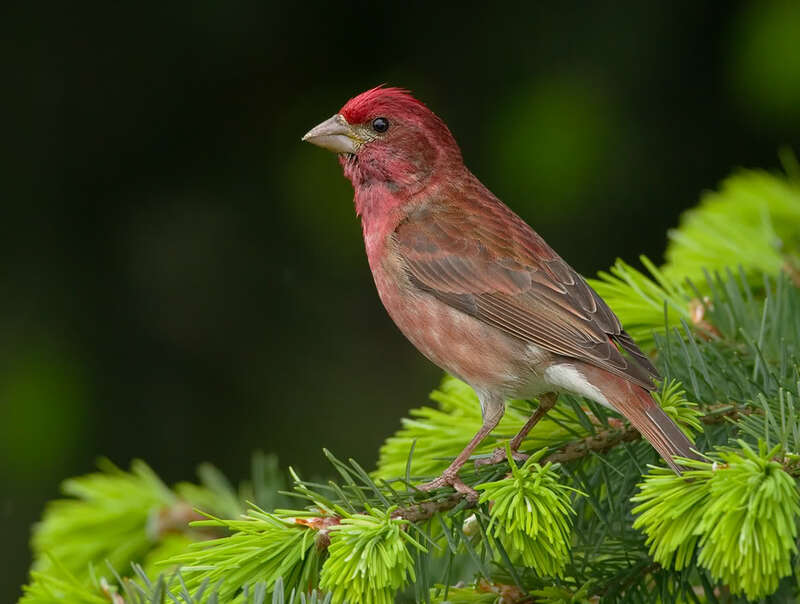 Birding by ear is a great tool in identifying birds! When it's just too hard to see the bird you hear, let your ears take over! Listen for the qualities of the sound as well as the pattern. 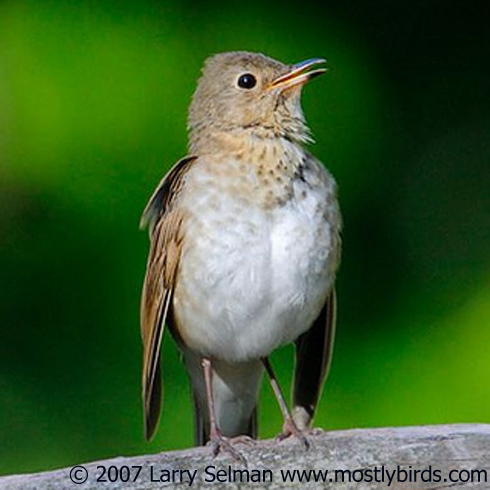 A flute-like and upward-spiraling sound is characteristic of this Swainson's Thrush. Quite a contrast to the plaintively whistled notes of a Black-capped Chickadee. 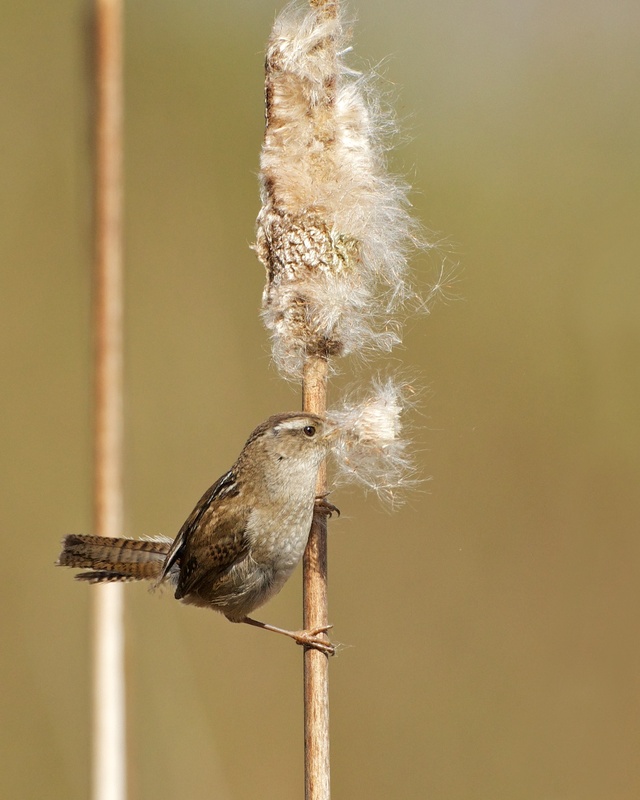 Maybe your bird has a raspy quality to its trill, like a Willow Flycatcher, while the ratchety song of a Marsh Wren cuts its way through the dense vegetation of a cattail marsh. This is BirdNote! [Song of Swainson’s Thrush] Sometimes it’s just too hard to see the bird you hear. Too many leaves, too many pine needles, or maybe you’re looking into the sun. Still, you want to know what it is. Well, relax your eyes and let your ears take over! Begin by listening for the qualities of the sound as well as the pattern. As you develop this skill, you’ll learn to link certain qualities with your singer – like knowing that a “flute-like” and “upward-spiraling” sound is characteristic of a Swainson’s Thrush. OK, now which of these two qualities – “ratchety” or “ringing” – would you say describes the sound of this Marsh Wren [Song of Marsh Wren]? If you said “ratchety”, you’re right. 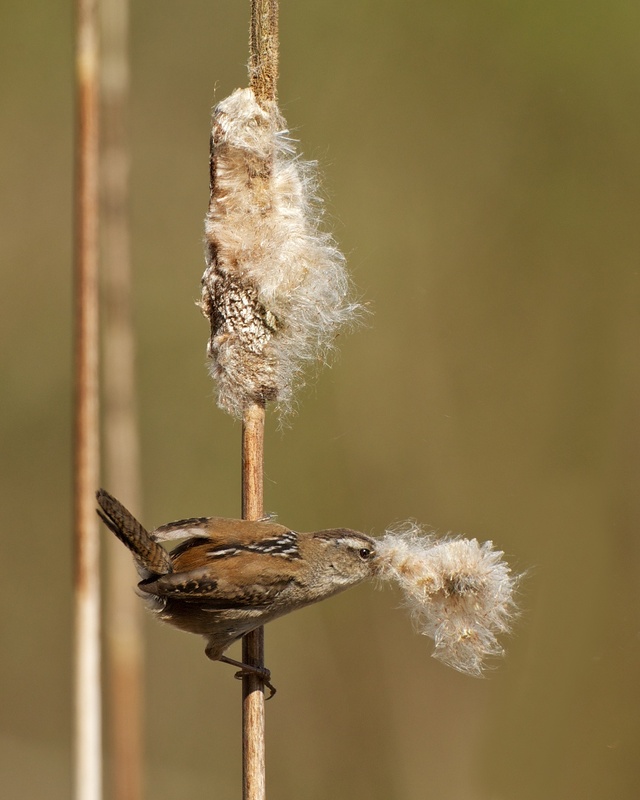 The song of the Marsh Wren has to cut its way through the dense vegetation of a cattail marsh. Hear them all again at birdnote.org. Bird audio provided by The Macaulay Library at the Cornell Lab of Ornithology, Ithaca, New York. 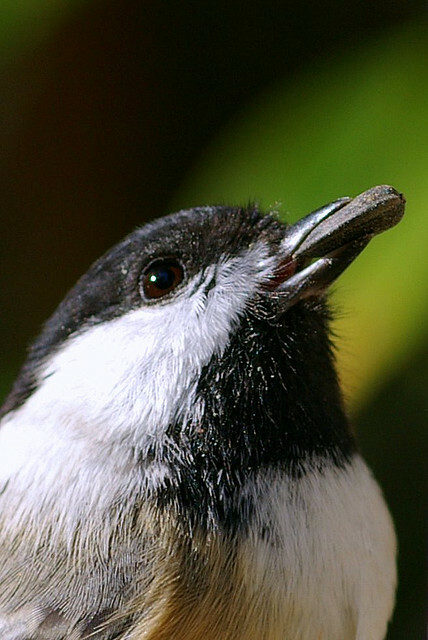 Songs of the Swainson’s Thrush, Black-capped Chickadee, Purple Finch and Marsh Wren recorded by G.A. Keller. Song of the Willow Flycatcher recorded by M.J. Anderson.